Toolstop 5KVA triple outlet 110 volt transformer, complete with two 16 amp outlets and one 32 amp outlet. NOTE - this product must be checked on delivery. Due to the weight of the transformer, there is a slight possibility that damage may occur in transit. Any items that appear to be damaged must be signed for as"Damaged" to allow us to make a claim against the carrier. 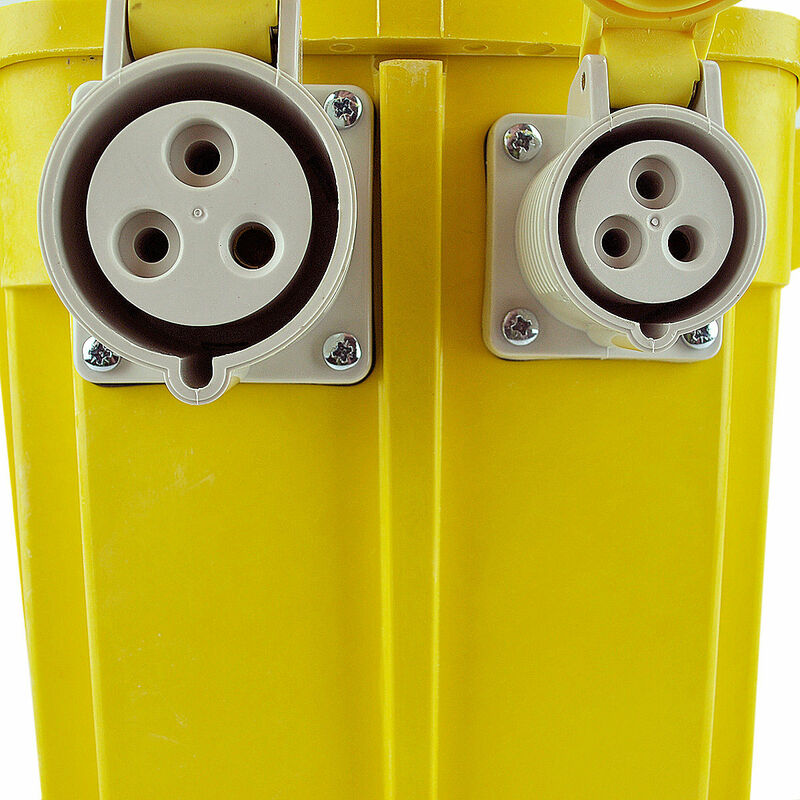 This site transformer will run power tools up to 5kva. The continuous rating is approx 3.0kva. There are 2 x 16 amp outlets and 1 x 32 amp outlet. 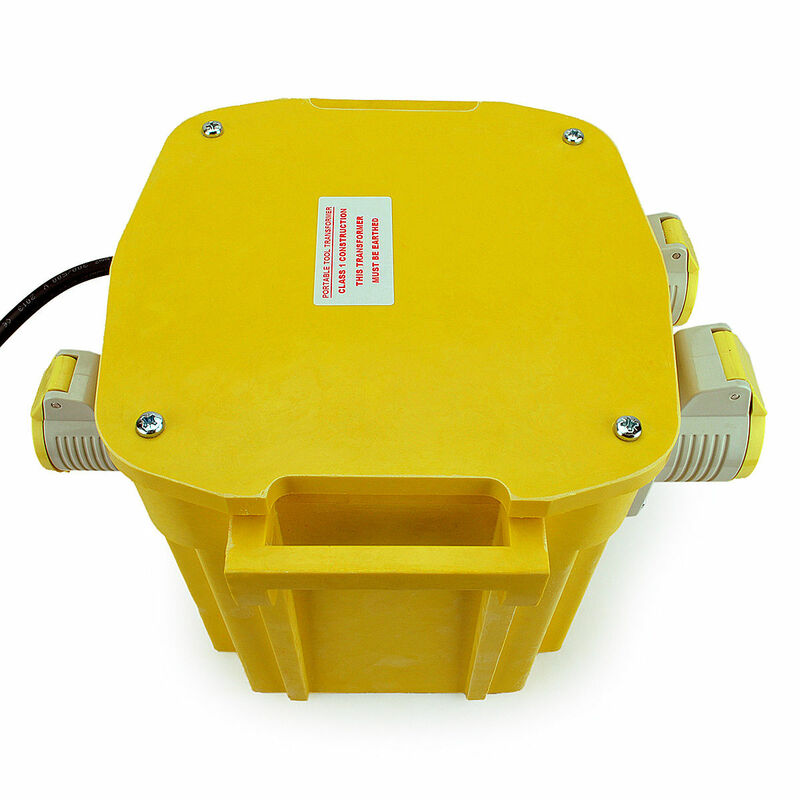 There is also a reset button which can be used if the transformer overheats due to excessive use or overloading. In this instance, you must let it cool down before the reset will take effect. For use with 110V power tools.